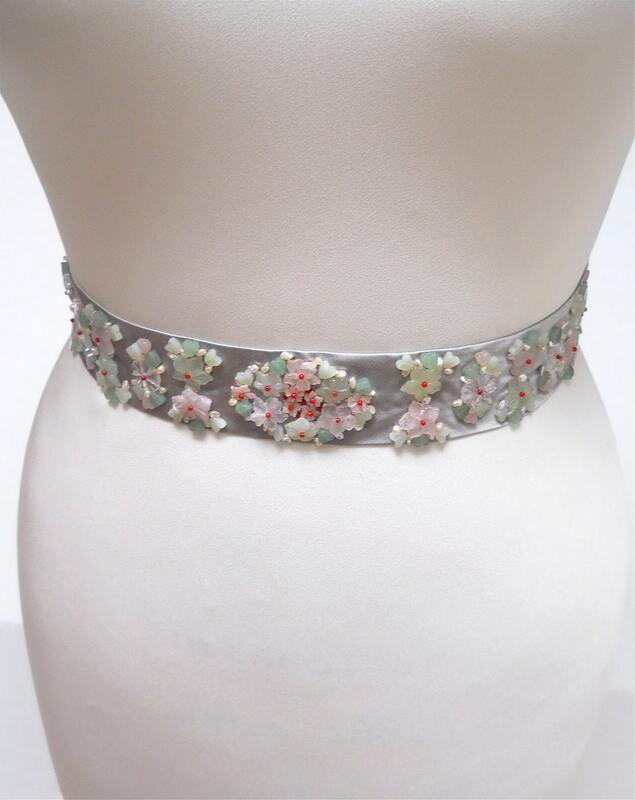 This exquisite belt is a real show stopper. 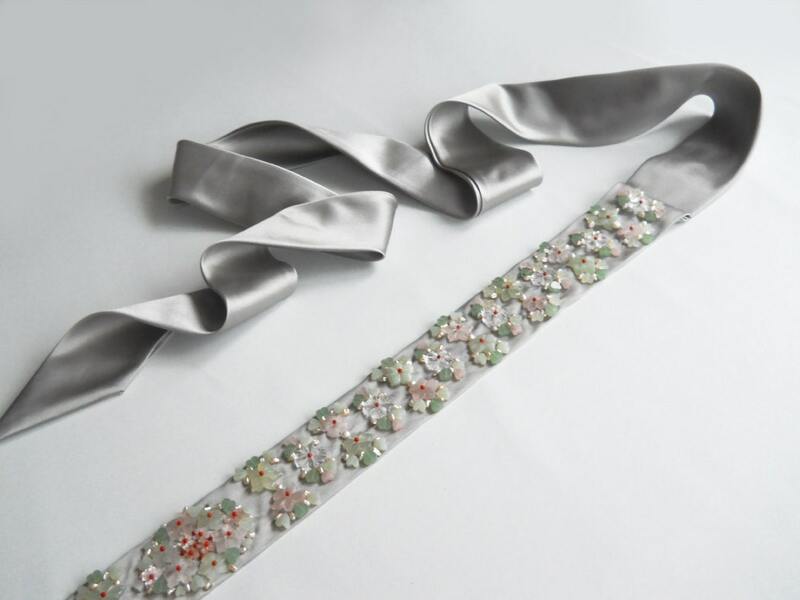 Made with the finest carved natural gemstones and cultured freshwater pearls beaded on a Duchess silk satin sash. This belt measures 2" wide and 28" long. The entire sash measures 140" long.